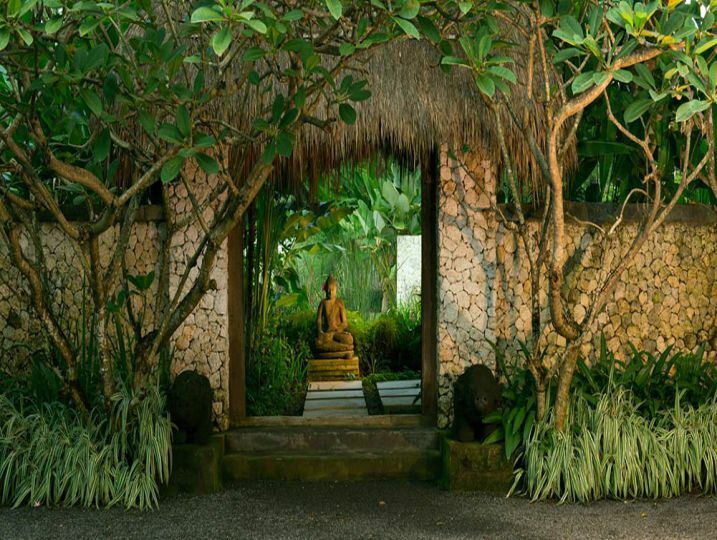 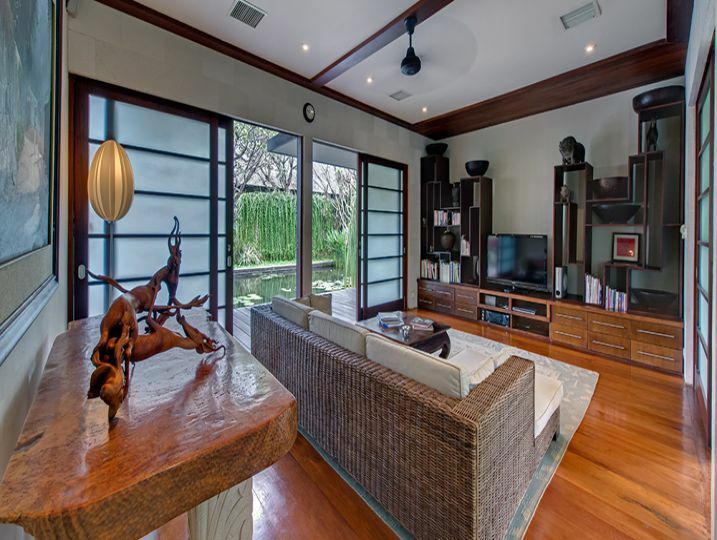 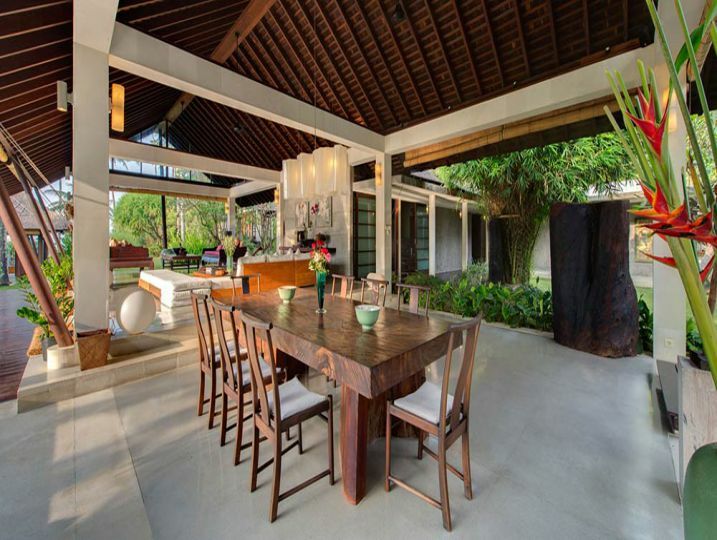 Villa Samadhana is the pinnacle of style, service and spaciousness. 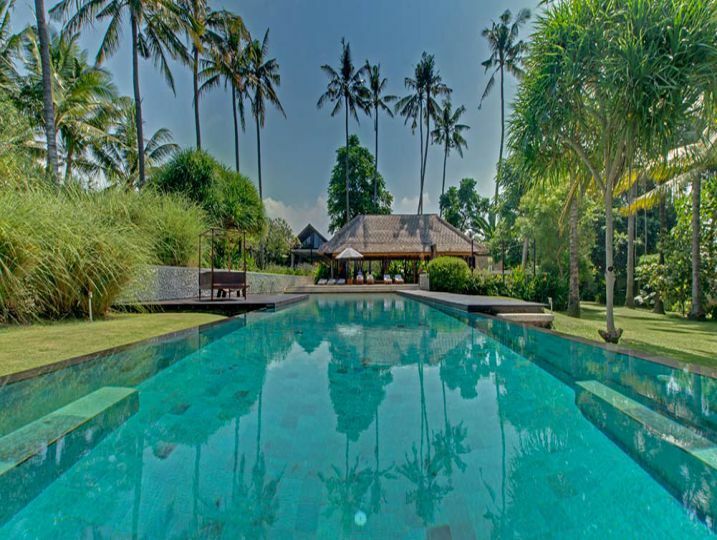 Located in the sleepy seaside village of Ketewel on Bali’s southeast coast, this expansive villa is set amongst sprawling lawns and exotic tropical gardens. 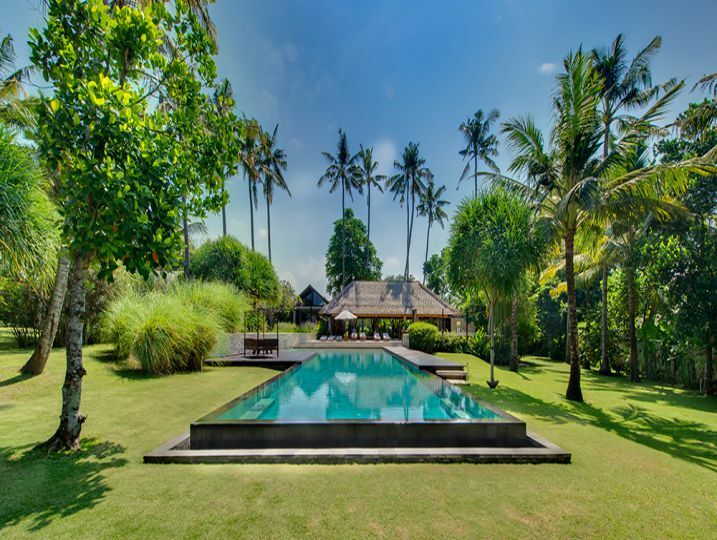 Designed by one of Asia’s top architects, Villa Samadhana combines modern luxury with traditional elegance to create a sophisticated sanctuary perfect for weddings, special events or a peaceful family retreat. 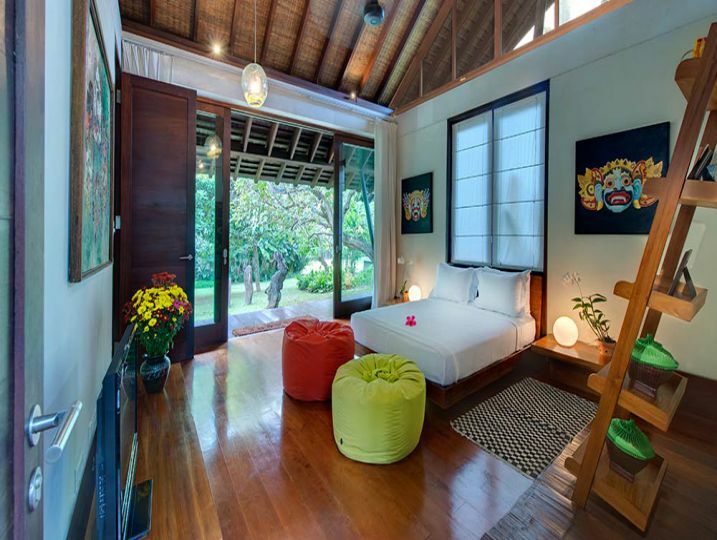 If space, peace and privacy are what you crave, then indulge yourself at Villa Samadhana. 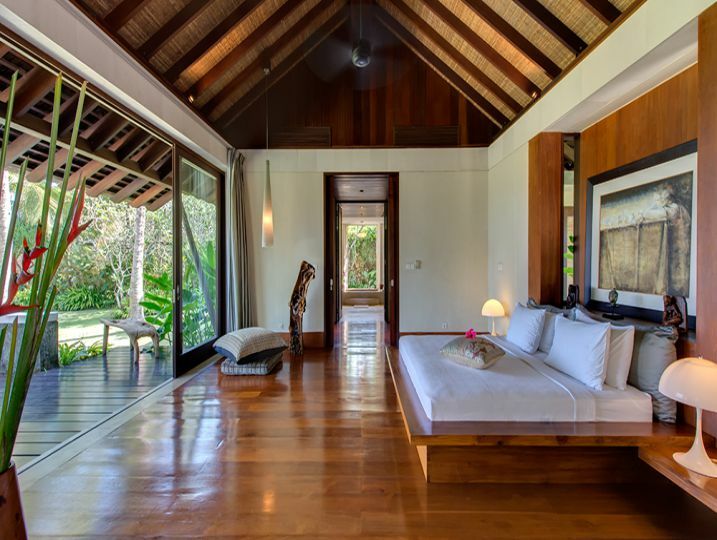 Named after the ancient Sanskrit word for ‘inner peace’, this beautiful villa has been designed to encourage guests to relax, unwind and dissolve the stresses of everyday life in a beautiful tropical. 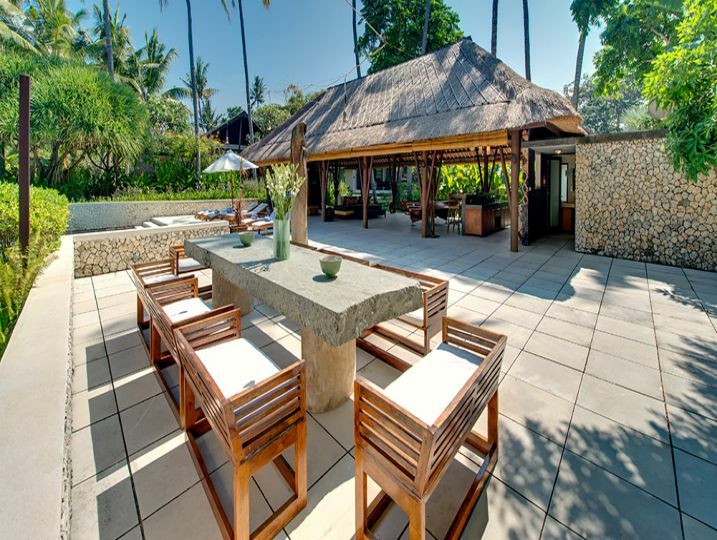 Featuring five luxurious bedrooms, an open-sided living and dining pavilion, the standout restaurant-grade kitchen, entertainment lounge, 25-metre lap pool and a full complement of staff, this palatial villa is sure to impress. 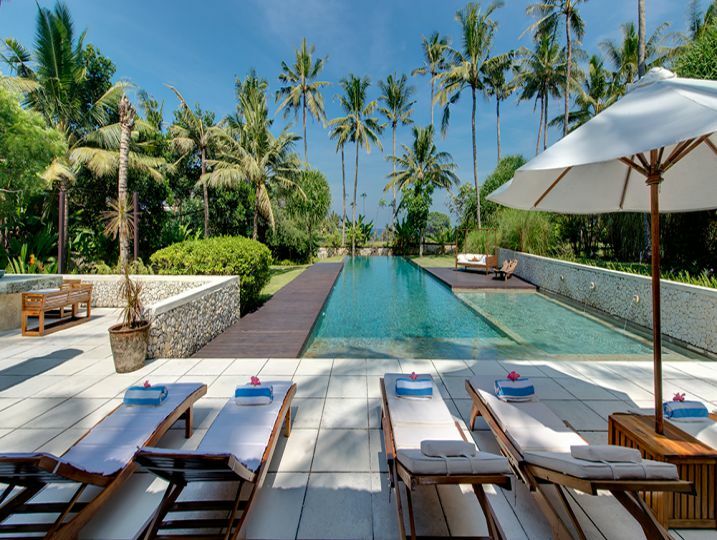 The expansive property offers stunning ocean views across neighbouring rice fields with tantalising glimpses of sacred Mount Agung in the distance. 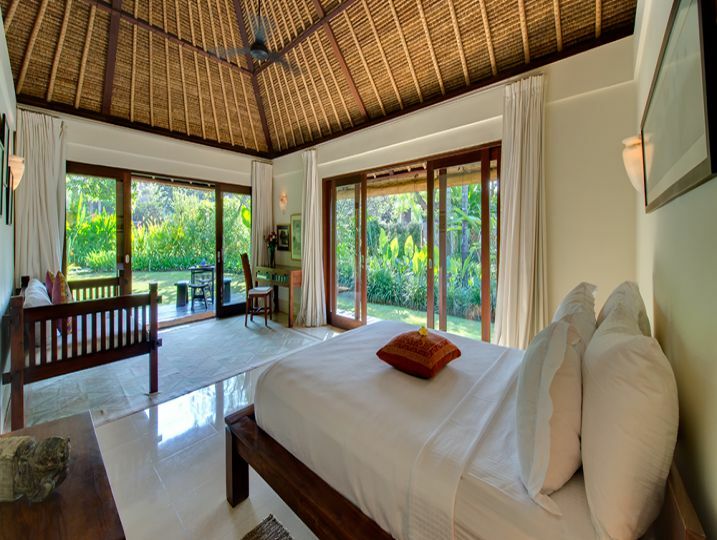 Resting on an impressive 7,400 square metres, guests are privileged to an enormous amount of space. 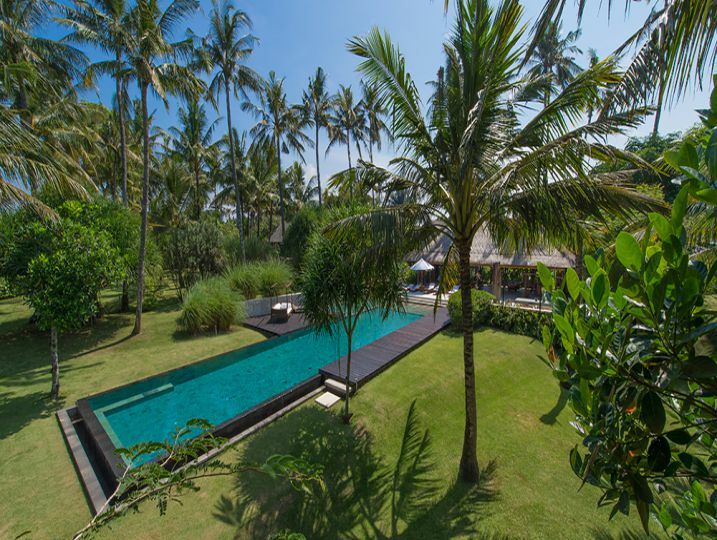 Vast rolling lawns encircle the villa with lavish gardens and water features adding to the sense of grandeur. 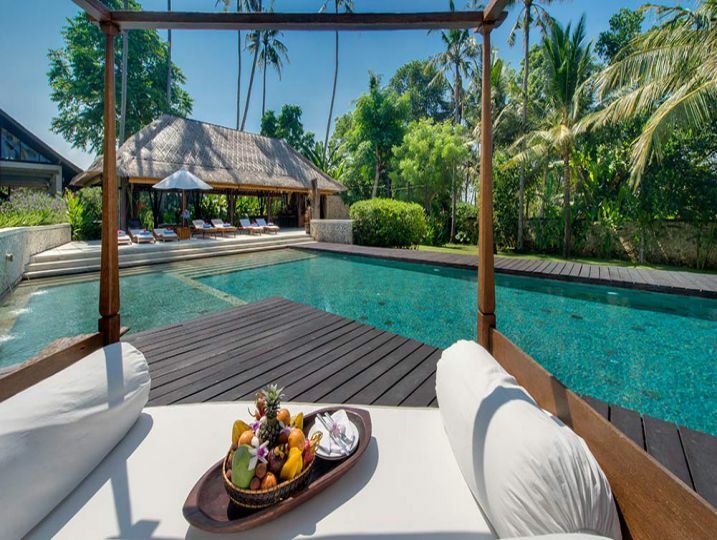 A stunning 25-metre infinity pool with adjoining entertainment pavilion offers ocean views, as does the massive master bedroom. 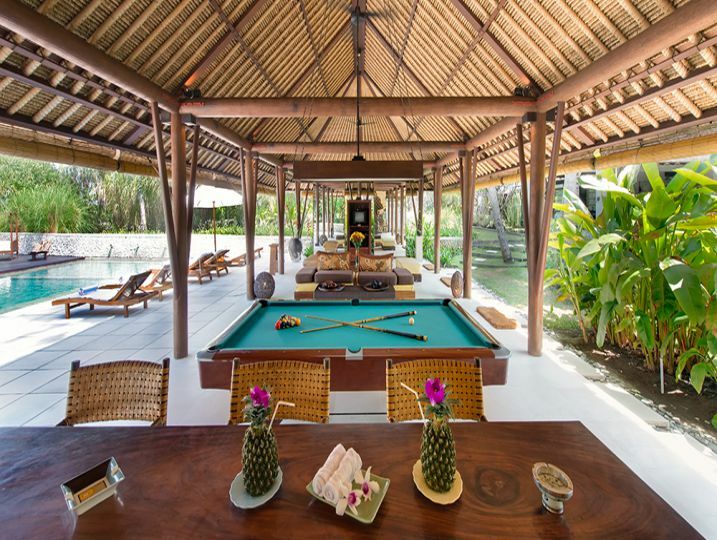 Large open-air living spaces with high vaulted ceilings enable guests to freely enjoy the balmy Balinese climate, while Thai silk furnishings and a collection of Asian antiques decorate each room in a unique way. 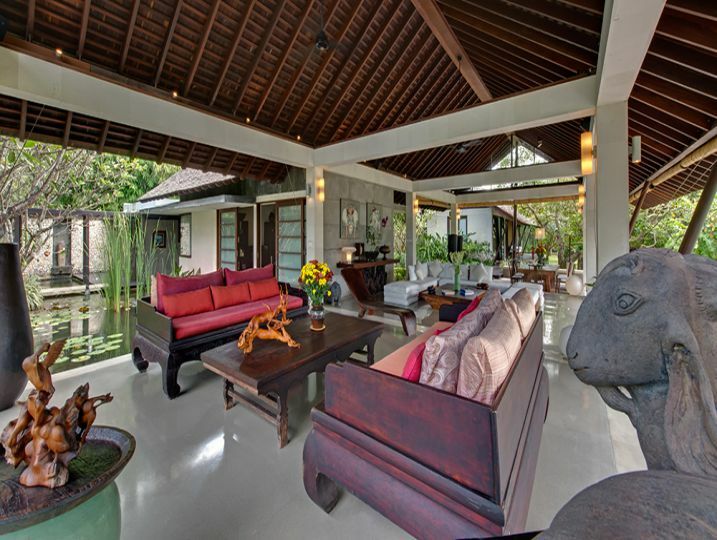 Villa Samadhana is available for selected dates.